As I’ve mentioned, my brief return home to Louisiana was ended with a crawfish boil. And my god, was it good. After stuffing ourselves to capacity, a couple of people were nice enough to sit down with me and help me peel the rest. If you don’t know, peeling crawfish knowing that you won’t be eating it is a selfless act indeed. I ended up with a pile of crawfish tails perfectly seasoned and ready to be brought back with me to Austin, along with the spicy boiled corn that I cut off the cob. I threw everything into the freezer and recovered from the drive. A few days later, I hauled it all out again so I could make the following recipe. I had G, K, and M over because, really, you can’t make this kind of thing and not share it. This recipe was originally for crab and corn bisque, and called for a small amount of liquid crab boil. That is such a BAD idea if you’re using boiled crawfish that’s already been seasoned. Seriously, you will burn your lips off. If you’re using frozen Chinese crawfish tails (though why you would bother is beyond me) then you might need to season this a little differently. I did end up adding a tiny bit of sugar to enhance the cream and balance the spice, but it’s up to you. 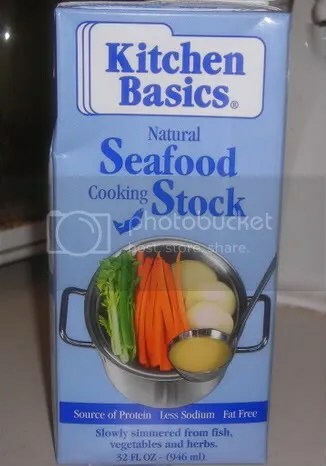 Now, I was silly and didn’t think to use all the shells and good stuff I had in Louisiana to make a seafood stock to bring back to Texas with me. My dad, who sent me this recipe, said I could use chicken stock in a pinch, but the thought of that kind of hurt my feelings. I ended up going to Central Market, which is kind of like Whole Foods, and found a carton of seafood stock. Yay me! It worked out very nicely. 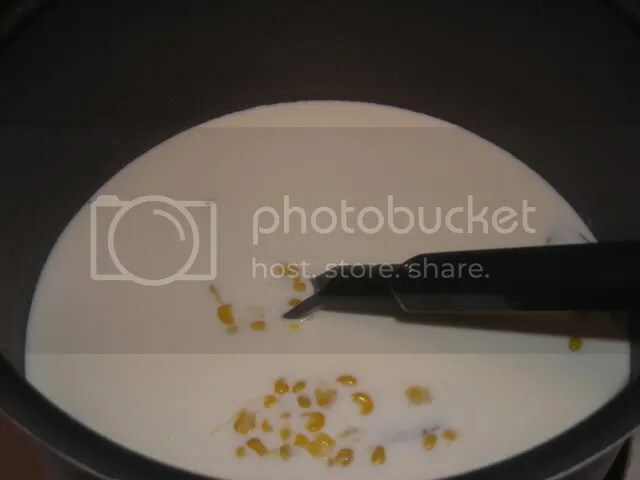 Also, because I had a resource as amazing as crab-boiled corn, I only used one can of the creamed corn instead of two. 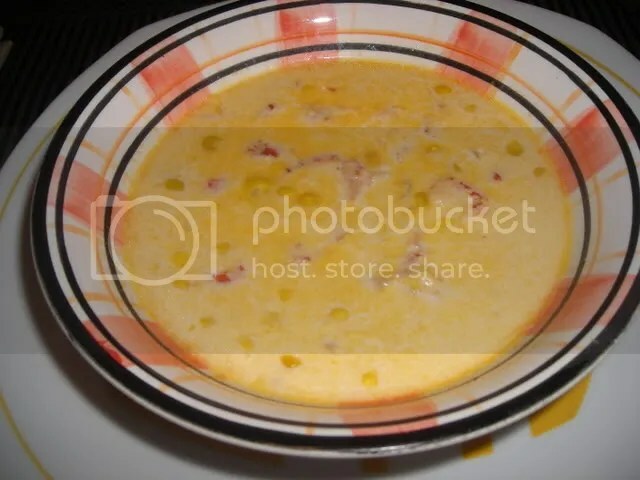 Place corn, cream, and bay leaves into soup pot over medium heat. Heat ingredients but do NOT boil-this will break the soup. When heated, stir in the warm seafood stock and add butter, Tony’s, and Worcestershire. Reduce heat to low and cook for approximately 15 minutes, stirring. See how pretty this looks already? When ready to serve, fold in crawfish and salt to taste. Heat until crawfish are heated through. Serve in a cup or bowl and garnish with parsley and paprika. People had arrived and were hungry, so I skipped the garnish. And it still looks beautiful. I had so much crawfish that I made a batch and a half of this recipe, and froze some. It freezes really well and heats up just fine. My first night home my father handed me a cup of bisque that had been frozen and I couldn’t tell one bit. Just don’t microwave it–this might cause it to boil and that’s bad. Unless you’re my mother, of course, who can reheat anything without causing damage. She is one with the microwave and I’m not even being remotely condescending when I say that. You are currently browsing the Fixin' to Eat blog archives for June, 2008.